Please note I chose to review this pattern after ‘purchasing’ it and using it for my own use. This was not asked of me. 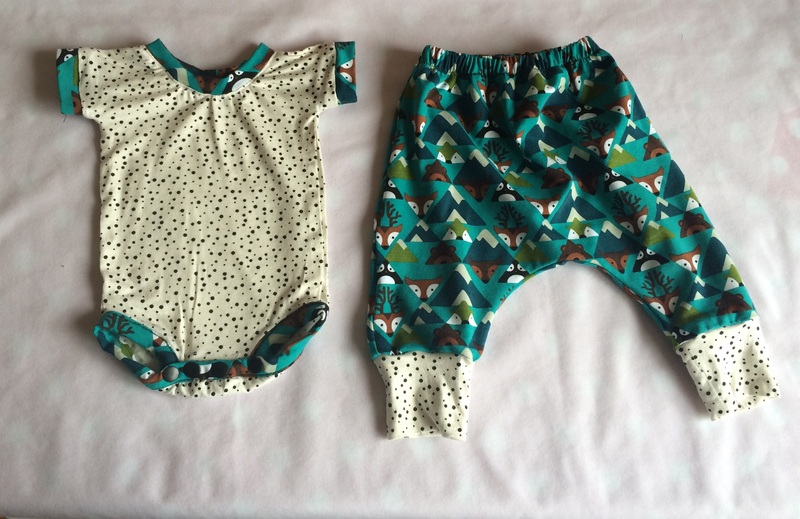 The Ringer Onesie is a free pattern by Shwin & Shwin. You still have to go through a checkout routine but it will cost you nothing. S&S do a raglan version also. I also used their harem style Baby Knit Pants Pattern which is also free. After seeing the fish version on Shwin and Shwin blog I wanted a funky bright set too! 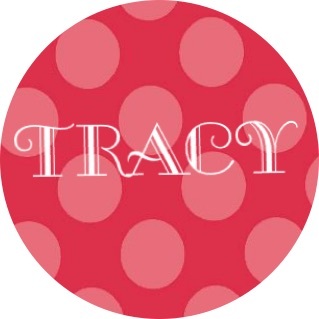 I chose a red spot jersey to match with a teal hedgehog print. So cute! 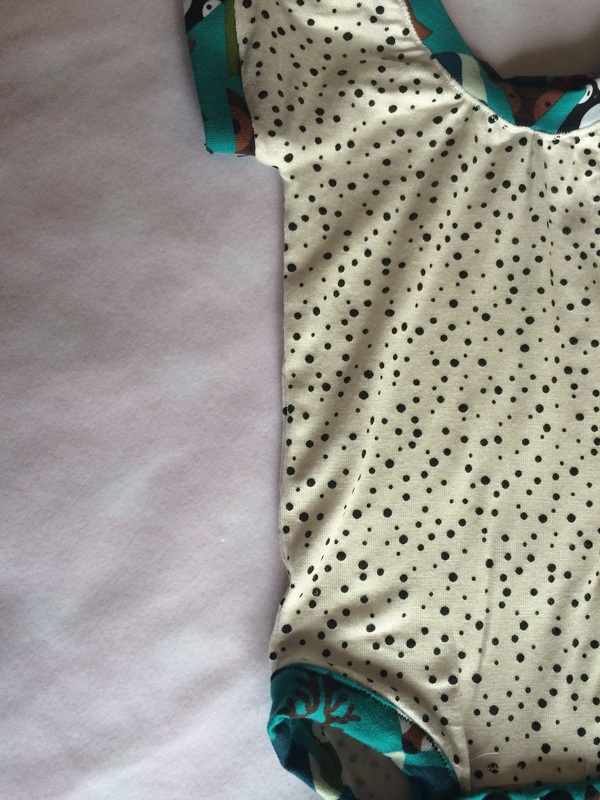 The onesie is worked as a one piece so no extra sleeves to add on only seams and edges to sort out. The only flaw I found here is it tends to ruched up when worn. 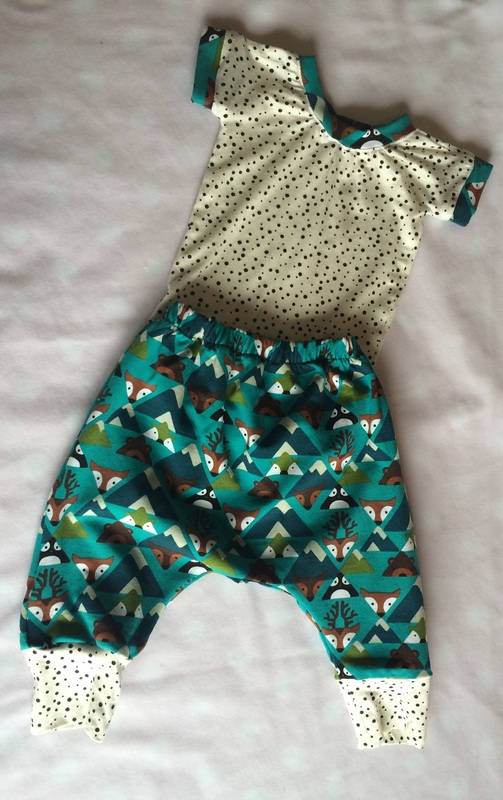 However it is a lovely fit and for FREE you can 3-9 month sizes. The instructions were very clear and easy to follow. It is done with maximum ease to all levels. I struggled a bit with the poppers at crotch as first one turned out a little messy I also accidentally put poppers on wrong sections BUT… it works. Next up I made this version and doing it a second time round is so much easier and it’s easily a half hour to max of an hour project with the harems taking even less time. I found with this version thought that because the fabric was thinner the neck looks gathered more than the red one does but when worn that pulls out and isn’t noticeable. However on a girl it’s a quite nice oops addition. You use little fabric too and the edgings are perfect for straps you have no other use for. I have to say this combo is my favourite for sure. Like the onesie the pants are few pieces and no complicated sewing. As usual I needed to hack the pattern a little with the help of the Eclipse t-shirt by MBJM and the onesie I created a hooded long sleeve version which looks very adorable on! 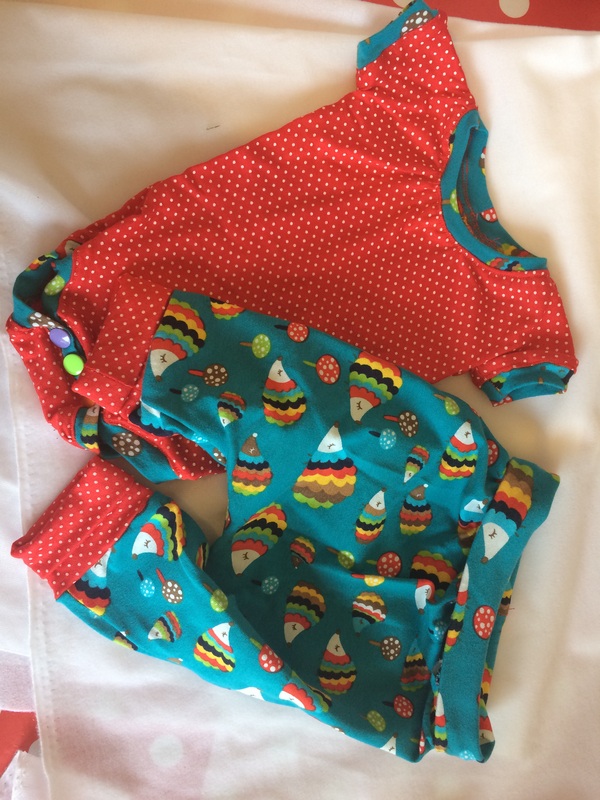 Onesie comes with a raglan version to try. I would have preferred a way to use the onesie leg and crotch strip to go all the way round. Construction dictates it stops on the straight section and mine wasn’t overly neat as a result. I found it gathered in places I didn’t want but I will add once worn provide snug fit that smooths that right out. Long sleeve version for onesie and yoga pant waist for harems would have been a nice option. Overall I can’t really complain the patterns are free, perfect for my project and have had many compliments. 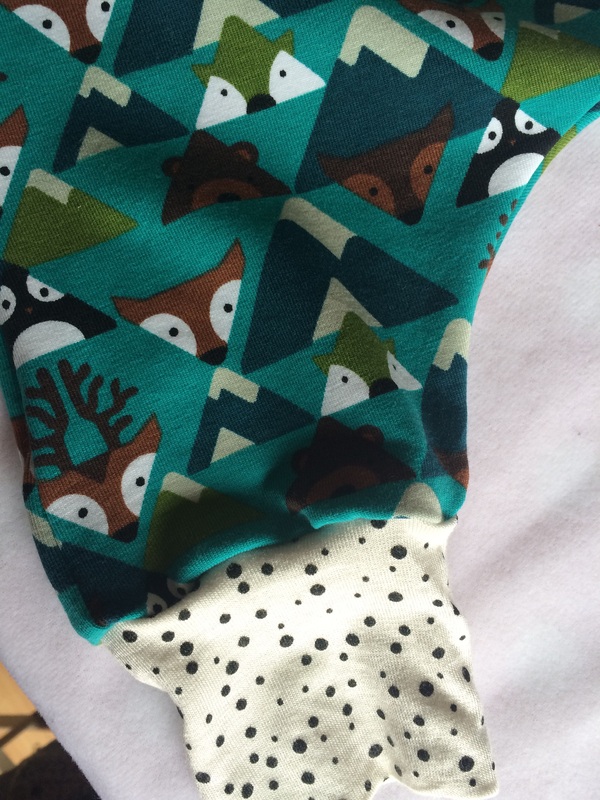 I will continue to use these patterns for younger babies.